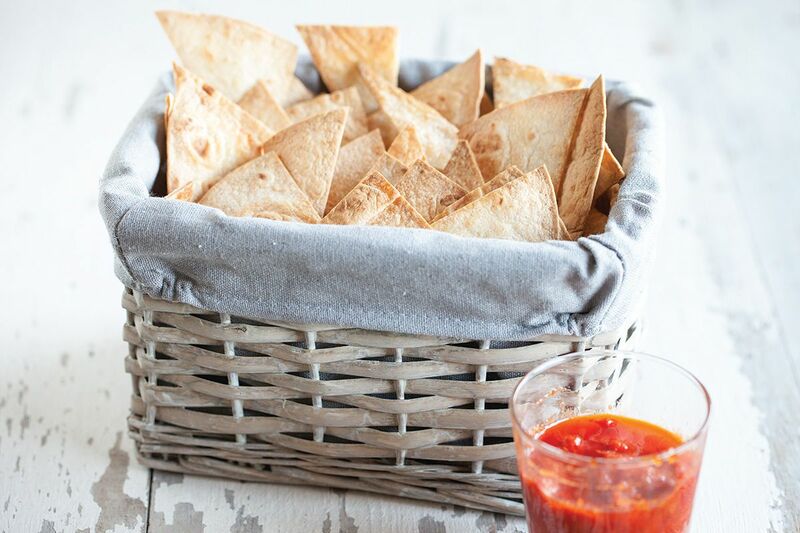 Delicious and crunchy home-made tortilla chips with a very easy to make dip sauce. Ready in about 15 minutes. 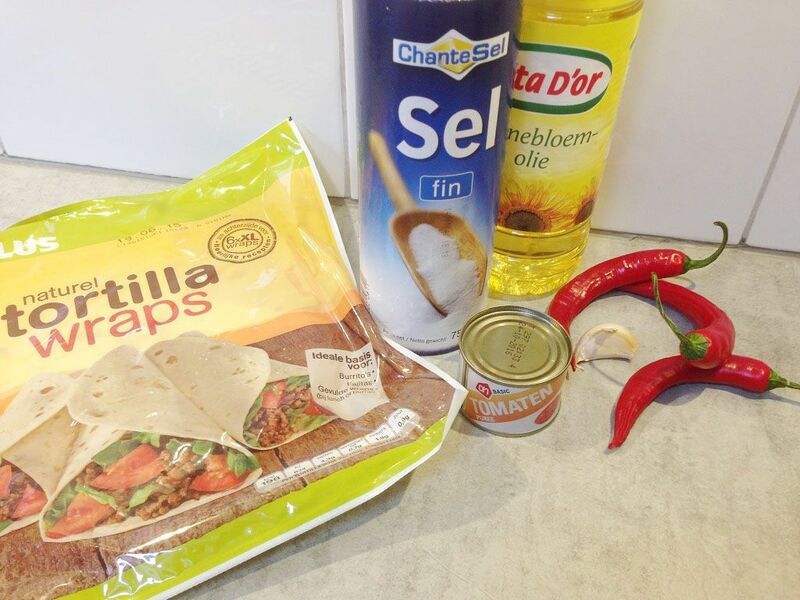 If you like the dip sauce to be a little less spicy, you can decide to remove the pepper seeds. We like it spicy, so we put the whole peppers in the blender. Well, of course we removed the (green) top first. PEEL the garlic clove and throw them together with the tomato paste into the blender. BLEND them and add a little bit of sunflower (or olive) oil until it forms a smooth mixture. 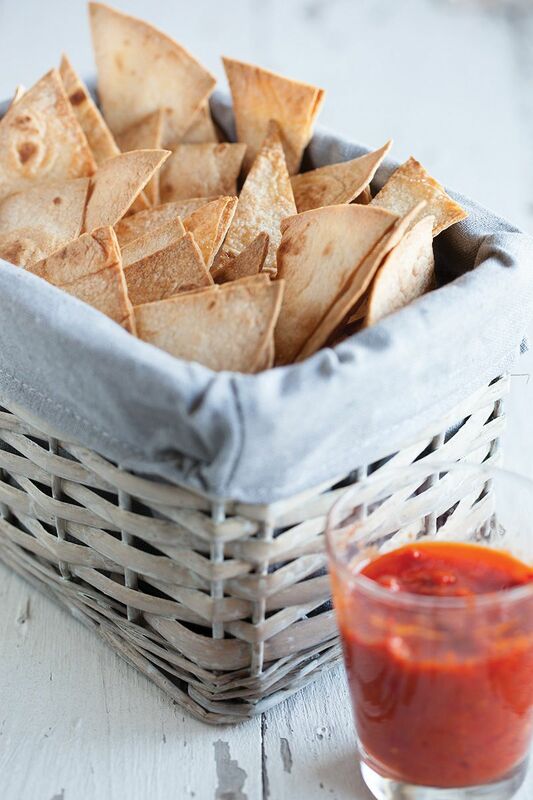 That’s all there is for this easy delicious dip! 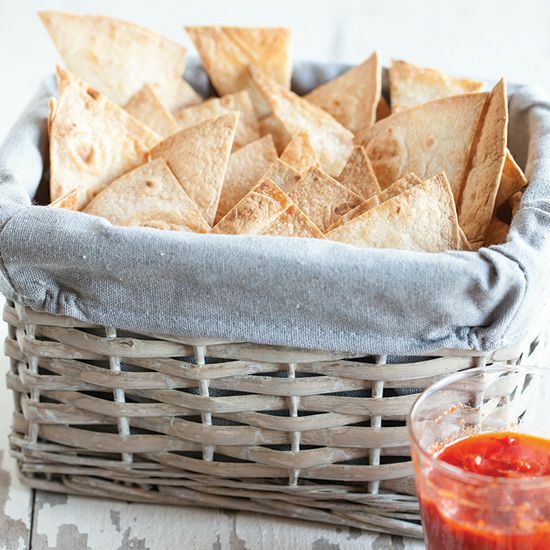 SLICE plain tortillas into small triangles. PLACE them on a baking tray lined with baking paper. BRUSH them slightly with sunflower oil using a silicone kitchen brush. PLACE them in the an oven on 180 degrees Celsius or 350 degrees Fahrenheit for about 10 minutes, or until golden brown.